How large is VD Glass and does it have a global supply? We do have a global supply, mainly focused on the European market but aiming to expand to the rest of the world. We have agents in South Africa, Australia and New Zealand and looking for partners in USA, Canada, Brazil, Mexico. There are 65 employees and we sell more than 50 million glasses per year. We expect to be close to €22 million in 2017 (up from €16 million in 2014). We know that VD Glass produces glassware for the drinks trade, please describe in more detail the products the company produces. For which drinks are the glasses best suited? We have five main B2B glass categories: for Beer, Wine, Spirits, Soft Drinks, Coffee and hot drinks; alongside that, we supply branded and unbranded glasses for Horeca and promotional activities (B2B and retail). What are your newest products? We have recently designed a lead-free wine glass assortment, the latest series being Suite. In the beer category we have developed Crafty, an all-Italian beer tasting stem-glass of excellence, made of Sonhyx crystalline glass with a titanium coating. 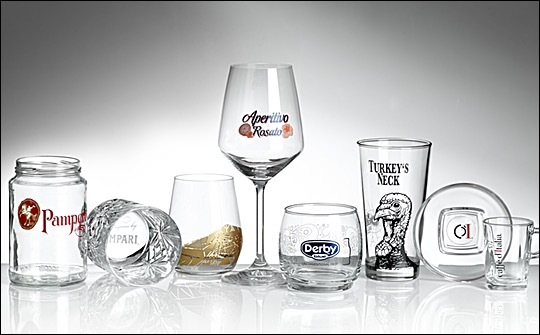 The latest technological advances are in the field of UV printing; we have recently invested in a high-performing UV screenprinting machine that is able to decorate oddly shaped glassware (e.g. square, oval, triangular, etc). We are now leading the explorations in the field of one-pass digital printing. How are you marketing your products to the drink producers? We market our products through our sales people (directly or via our agents and business partners) and through communication (newsletters, magazines, fairs, social media, event sponsorships and more). What distinguishes your product from others in the market? What do you see as the latest trends in packaging/brand owner requirements and do your products reflect this? The latest trends are more and more towards bespoke glasses reflecting brand owners’ values and perceptions that our design department follows, creating more and more new ideas for the beverage world. We are also developing printing technologies allowing us to personalise each single glass, as the market is asking more and more. At the same time, investments in UV and digital printing aim at the safeguard of the environment. Environmental issues are crucial for us as well as for our major customers. Our efforts are therefore aiming at organic printing and the reduction of energy consumption and emissions. Where and how do you see future growth for your products? We see a geographical growth first of all, i.e. the expansions to new territories and the development of the current markets, mainly by means of collaborations with skilled and expert agents and business partners/distributors. Our flexibility to build specific product ranges for each area should also play an important role. What, if any, new products do you have up your sleeve? We are developing several bespoke glasses for major beer companies at the moment, which we cannot disclose yet. The latest accomplished project has been the new Ichnusa glass for Heineken Italy.